You can reach Ortisei, S. Cristina and Selva also with means of public transport like bus and train. 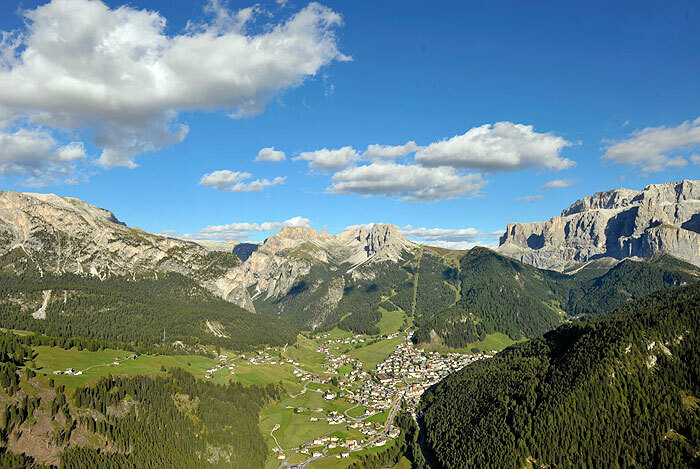 The shown information provides useful hints for the journey to your holiday region Val Gardena. 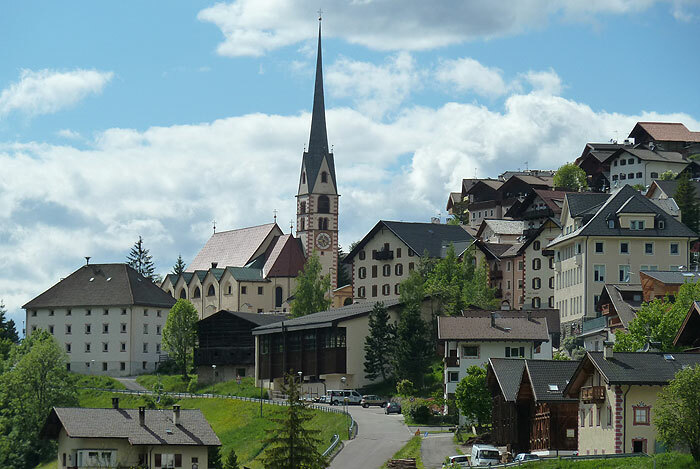 Val Gardena can be reached using the Brenner Motorway (A 22). Coming from north, follow the route Innsbruck - Brennero - Chiusa. Coming from south, follow Verona - Trento - Bolzano. Take the Chiusa/Val Gardena exit. Following the well-marked roads, you should reach Ortisei in about 20 minutes, then S. Cristina and Selva Gardena. At the end of the valley, you come to the Dolomite pass ways. They are only a few minutes away. You do not need a car to get around in Val Gardena. The lifts depart directly from the individual towns and there is also a very convenient bus service. Many guests arrive in the valley by train, plane or coach. From Germany, Austria, the Netherlands and Belgium, there are good IC and EC connections, coming from Munich, Innsbruck, Brennero to Bressanone or Bolzano. Some trains stop in Chiusa. 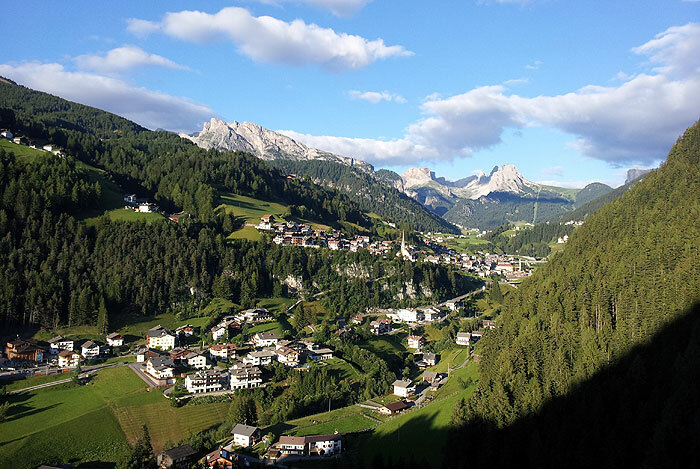 A bus service transports you from Bressanone and Bolzano almost every hour to Val Gardena. Some hotels arrange a pick-up service for you. The nearest airports are in Bolzano, Innsbruck, Verona, Munich and Milan. Please call the information office for more details about taxi/pick-up services at stations and airports. Air Alps offers short flights for independent travelers from Amsterdam, Munich and Rome to Bolzano, Brescia and Innsbruck, which make for quick transfers to South Tyrol and Val Gardena. Ryanair offers short flights for independent travelers to Treviso and Bergamo, which make for quick transfers to South Tyrol and Val Gardena. 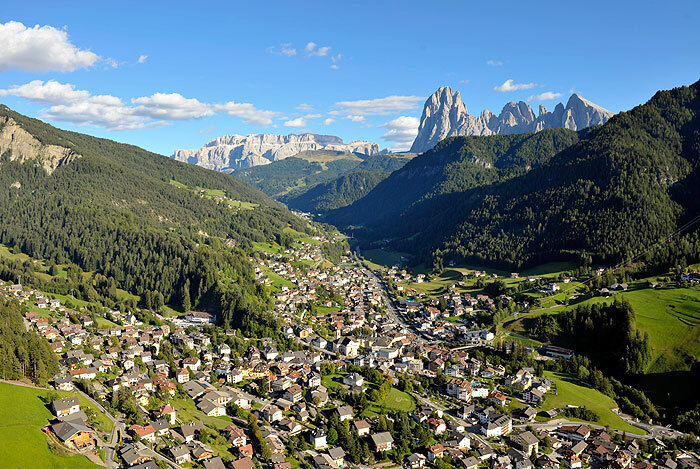 Basiqair offers especially for dutch travellers short flights to Treviso and Verona, which make for quick transfers to South Tyrol and Val Gardena.